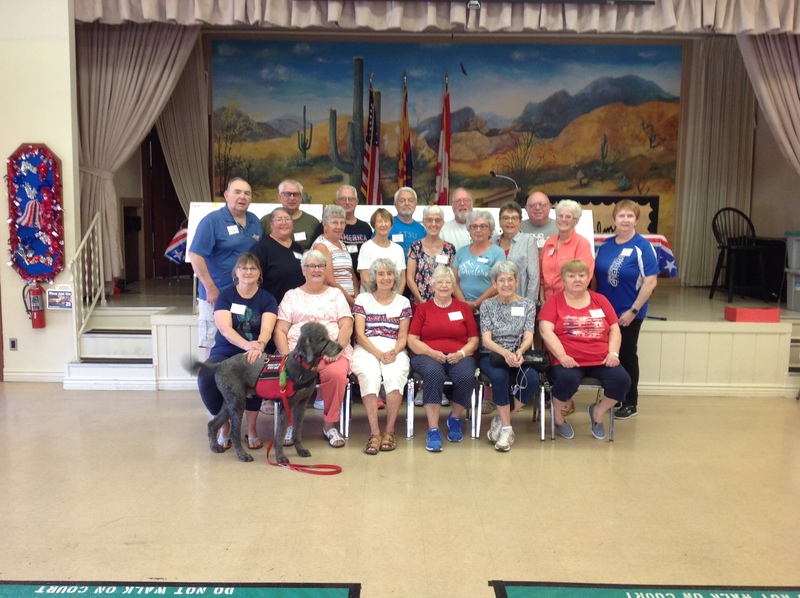 During the awards ceremony, through donations, two rollout courts (one by Polyglide and the other by two private donors) were presented to the Rehabilitation center at the hospital for the use of the veterans. 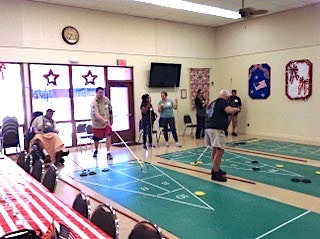 The Palm Garden residents, also through donations, provided scoreboards, disks, wax, and miscellaneous items to assist in getting shuffleboard established as one of the weekly activities in their rehabilitation program. 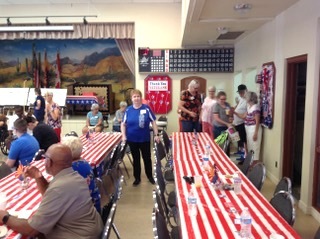 A big thanks to all the volunteers, especially Sheila Monday and Dean Haske, who helped me make this clinic a success. Submitted by Dale Monday, ASA President. 2018 06 30. 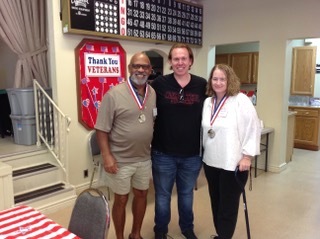 2 Responses to Veterans Shuffleboard Clinic by Palm Gardens in Mesa Arizona. Reblogged this on California Shuffleboard Association. How wonderful. You guys are doing a great job. I want to try something like this in our District in FL when we get back there in September. I may call you for some suggestions.